One of the most popular dishes in Japan, Japanese curry "Kareraisu", is a delicacy that is not only enjoyed by the Japanese but also around the world. Japanese curry is a flavorful sauce that is most commonly served with rice, Japanese noodles, or bread. Kareraisu is considered a Yoshoku, a dish that originates outside of Japan usaully from the West. 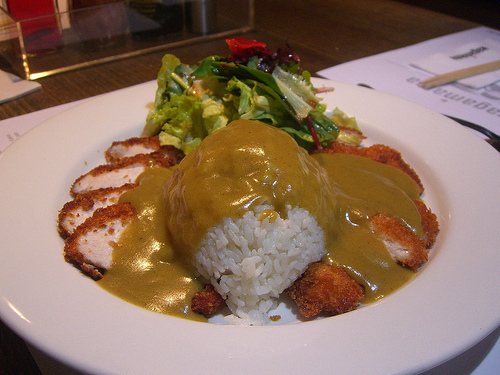 Curry itself orginates from India, but it was in fact the British whom introduced it to Japan during the Meiji period. Japanese curry is made by stewing curry powder (which contains cayenne pepper or chili pepper), flour, oil, and other ingredients together to make “roux”. The roux is added to meats and vegetables and is then cooked to the perfect thickness and consistency that one desires. 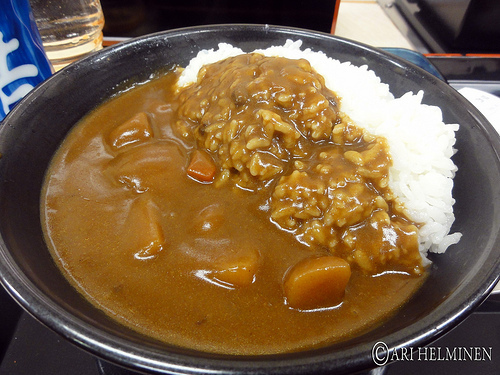 Japanese curry is generally quite thick, so it requires a "long" cooking process. In Japan, most homes use instant curry powder. 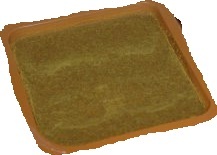 The instant powder comes in a powder or block form. The instant curry powder or block contains the same ingredients that traditional curry contains. The block form looks like a chocolate bar. You simply break off a piece and add it to a pot of meat, vegetables, and water. Instant curry was first used in 1926 and has stuck ever since because of its ease of preparation. The three most common brands are House Foods, S&B Foods, and Ezaki Glico. 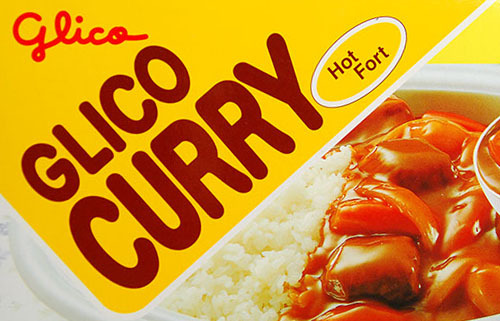 Vacuum-sealed curry is also popular in Japan. To prepare this type of curry you submerge the pouch in water or put it in the microwave. Japanese curry sauce is the largest vacuum-sealed product sold in Japan. 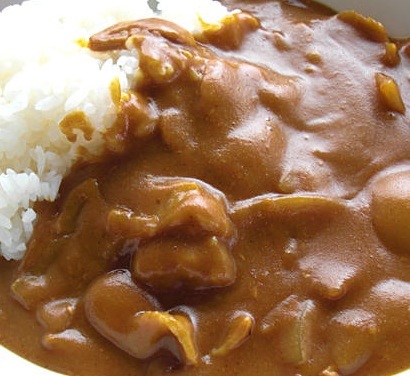 Japanese curry is most commonly served over rice, but is also popular with noodles and bread. Curry is often served with pickled vegetables as a popular Japanese lunch. The most common vegetables used are potatoes, onions(or negi onions), and carrots. Apples and honey are sometimes added for sweetness. The meat of choice in Japan is largely pork, but chicken and beef are also used. Japanese curry is usually eaten with a spoon, as its consistency makes it hard to eat with chopsticks. Sometimes compared with Indian curry, Japanese curry is thicker, milder, and a lot sweeter than its Indian counterpart. Indian curries are usually known for their spice and kick. 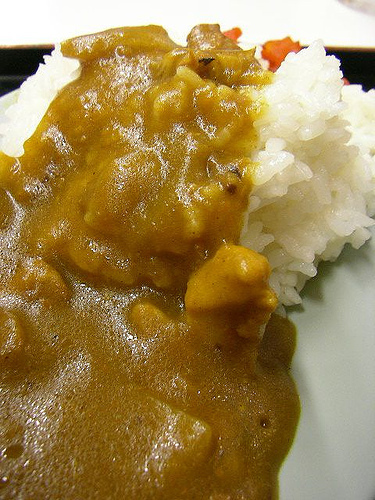 Japanese curry has grown to be one of the most popular Japanese food dishes in Japan. Most people enjoy eating this form of curry because of its sweeter taste as opposed to more spicy curry dishes. It can virtually be served with anything making it easily appealing to those more picky eaters. It also has the appeal of being simple to prepare for even the most challenged cooks with the advent of the instant Japanese curry. How do people in Japan use Kewpie Mayo? Sushi conveyor belts are very popular not only in Japan, but recently in Europe and the United States. The very first coin-operated vending machines were built in London in the early 1880s and these first machine sold postcards.